Ashley Cole insists he is not expecting any favours from new boss Frank Lampard after the former England left-back explained his decision to return to English football with Derby. The 38-year-old has signed until the end of the season with the Sky Bet Championship club, who are managed by his former Chelsea and England team-mate Lampard. 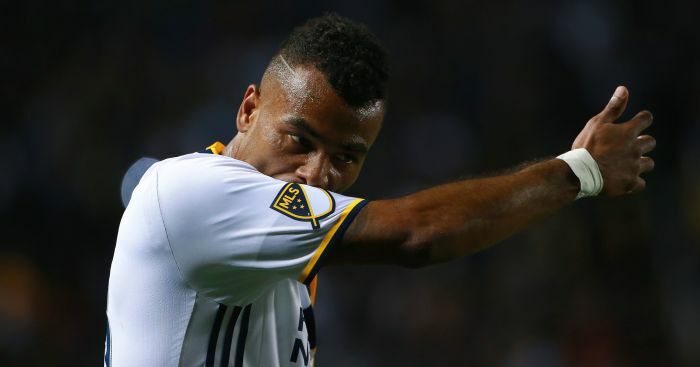 Cole, who earned 107 caps for his country, was a free agent after his recent departure from Major League Soccer franchise Los Angeles Galaxy. Cole has vowed to fight to help Derby reach the Premier League, with the Pride Park club currently sixth in the Championship table. “This is probably the last interview where I call him Frank,” said Cole. “I respect him so much, when I played with him and what he’s done in the little time he’s been here. “He’s my boss now, it’s not as though I’ve come here to take shortcuts or expect anything more because he’s my friend. No. “The same with Jody Morris and the other coaches. I respect them, they are my bosses, and I’ve just got to get my head down, train hard and work hard. “I probably wouldn’t have come back to too many other teams. “I would say it’s down to Lamps that I’m here. Cole has made 682 appearances across stints with Arsenal, Crystal Palace, Chelsea, Roma and LA Galaxy. After winning three Premier League titles and seven FA Cups, alongside the Champions League, Europa League and League Cup, Cole is targeting a first promotion of his career. “I had a conversation with Frank maybe a month, two months ago,” Cole told Derby’s official club website. “I’ve kept in touch with Lamps, and have followed how the team has been doing since Lamps got here. “So for me it was no-brainer to come here, get involved in this great environment, and hopefully push for promotion. “For sure I’m again coming out of my comfort zone. “I could have stayed in the MLS and relaxed, but I’ve come here and I want to fight for something, a good cause and try to make promotion. Lampard feels his side’s promotion push will be boosted by Cole’s arrival. “I’m delighted that we’ve been able to secure Ashley’s services for the rest of the season,” said the Derby boss. “He’s a fantastic player, a quality left-back, and he also brings great experience to the dressing room. “I know him very well from our time together at Chelsea and with England, and I also know what he can bring to the group and the influence he will have. Get the latest personalised Rams products on our new TEAMtalk Derby County shop! The post Ashley Cole makes Derby vow after teaming up with Lampard appeared first on teamtalk.com.